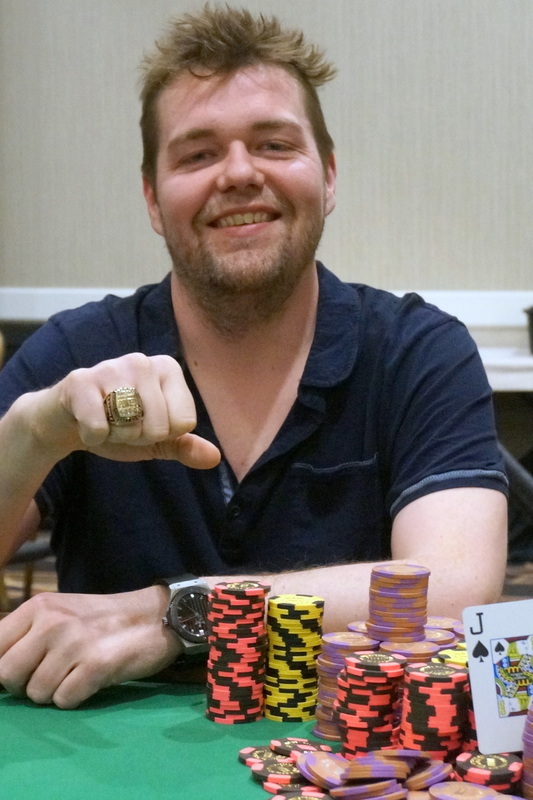 Jason Wheeler has emerged victorious in the 2016 World Series of Poker Circuit Bally’s $1,675 no-limit hold’em main event, topping a massive field of 1,214 entries to win $323,236 and his first WSOP Circuit gold ring. Wheeler was also awarded 960 Card Player Player of the Year points for the win. This was his fifth final table of the year and his second title, having won a prelim at the European Poker Tour Dublin in February. As a result of his impressive run early in the year he has climbed into 12th place in the overall POY standings with 1,704 total points and year-to-date earnings of $429,603. Wheeler entered the final day in sixth chip position among the 23 players to make it to day 3. A number of big names joined Wheeler at the final table, including Nipun java (8th – $40,026), Michael Rocco (7th – $50,806), Mike Leah (6th – $65,246), Anthony Spinella (4th – $111,081) and Jaime Rosen (3rd – $147,009). In the end it came down to a heads-up battle between Wheeler and Lisa Hamilton, champion of the 2009 WSOP Ladies event. Wheeler began with a chip advantage of roughly 5-to-1 and was able to quickly press his advantage and close out the tournament. Hamilton earned the largest payday of her career as the runner up, taking home $200,310.